Dr. Kozlowski is a Family Medicine trained M.D., has been studying Functional Medicine since 2011 and certified since 2015. He trained in Functional Medicine at the clinics of Dr. Mark Hyman, Susan Blum, and Deepak Chopra. His inspiration for this retreat came from the time he spent training at the 10 day Panchakarma program by Deepak Chopra. He currently has a private practice in Elk Grove Village, IL. His passion is gut health. Gabriela Perez is a Certified Vegan Coach, 200 Hour Registered Yoga Teacher, Essential Oil Educator and Certified Sound Healer. Her healing journey began when she worked at a hospital in the Pediatric Cardiac Care Unit and Heart Transplant Program, which gave her a unique perspective in the gift of life. It made her realize she needed healing through a rebirth of her own. She set out on a path of recovery and has been dedicated to it for the past 7+ years - learning about the different ways that we can heal holistically. With her passions deeply rooted in the natural health and nutritional fields, she enjoys being of service to those who are ready to experience life-changing transformation in their lives. Sarah Buino, is the founder of Head/Heart Therapy, Inc. She is a licensed clinical social worker, certified addictions counselor and a Certified Daring WayTM facilitator. She holds a masters degree from Loyola University in Chicago and specializes in shame and substance use disorders. 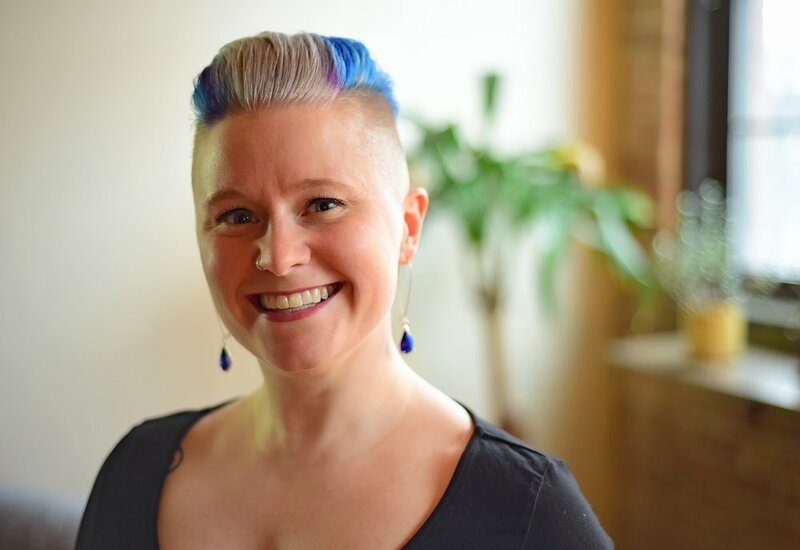 Sarah is also a member of adjunct faculty at Loyola University and Fordham University, Co-chair for the Women’s Association of Addiction Treatment Chicago Chapter, and the host of a podcast Conversations with a Wounded Healer. Sarah integrates her knowledge of complementary healing modalities such as music, yoga, reiki, and the chakra system into her clinical practice to help clients enhance their authenticity. From an early age, Sarah began to share the stage with her mother who was a professional singer. She sings in a local Chicago band and has utilized her musical skills in therapy interventions at various drug and alcohol treatment centers in the city.